Click to get the DEAL OF THE DAY! In Dallas, we know it’s hot right now. We’re in full summer mode here in Texas, but that doesn’t mean the flowers have gone anywhere. No, the flowers in Dallas have been in full bloom for some time now, adjusting to a climate that’s primarily warm most months of the year. And that has made us wonder: how do flowers bloom? There’s a lot of different reasons flowers bloom, and flowers each have a unique way of blooming: some open during the day, and close at night; others open during the spring or autumn, and close by winter. (That distinction largely depends on the type of flower.) But why exactly do they open in the first place? The primary explanation is reproduction. When flowers bloom, they open up their pollen to insects, who are then able to carry it to another flower. 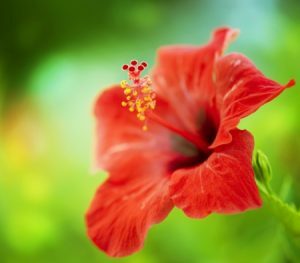 By doing so, the insect does the work for the flower—it helps pollinate the fruits and seeds of another flower, thereby producing more flowers in the end. Blooming, in a way, is just about spreading the love. And that attraction, in fact, can determine when the flowers open. Nocturnal flowers, usually in desert climates, stay closed during the day to avoid the sunlight, and then open for nighttime creatures once the sun goes down. Diurnal flowers are the opposite—they stay open for insects during the day, but then close out night to preserve their blossom for the next day’s meal. 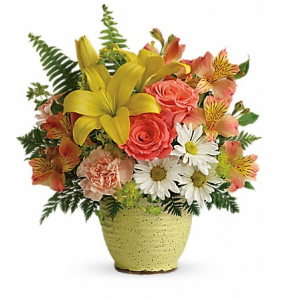 At Dallas House of Flowers, we’re always fascinated when we learn more about the flowers we sell. Because in many ways, flowers have a mind of their own, knowing exactly when and how to blossom. That gives us even more pleasure to offer such a diverse portfolio of these beautiful plants, especially in these summer months. If you have any questions, contact us today! Do You Know the History of Valentine’s Day?